So, you want to get a super cute, chubby-cheeked guinea pig or hamster as a family pet, but not sure which is a better match for your home? You already know that guinea pigs are substantially bigger than hamsters, but are there any sizeable differences between the two in terms of social needs, time commitment, equipment, lifestyle fit, etc? The answer is a resounding yes. 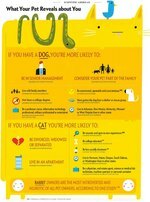 Before you pick up your new furry family member, ask yourself the following questions to see which one is the best fit for you. Am I a day person or a night person? Hamsters are nocturnal, meaning that they're typically most active at night and sleep throughout the day. So if you're looking for a pet that'll entertain you with their adorable antics during daylight hours, a hamster is probably not going to fit the bill. Guinea pigs, on the other hand, generally keep the same hours as most of us do (unless you're a night owl or if you work the graveyard shift). It could also be that hamsters' reputation for being "bitey" might simply mean that they're sleepy (and therefore grumpy) during the day when most people are attempting to handle them. I mean, if you were just about to get under the covers for some shut-eye and someone kept yanking you out of bed and trying to get you to play, you'd probably get a bit bitey yourself. Is space an issue in my house or apartment? Simply put, guinea pigs are bigger than hamsters, so they'll need way more space in order to live healthy, happy lives. Syrian hamsters (aka Goldens and Teddy Bear hamsters) are typically between 5 to 6 inches long (even up to 7 if they're female), while Dwarf hamsters can be anywhere between 2 to 4 inches in length. 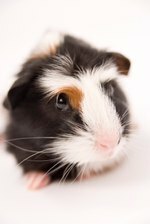 Guinea pigs can grow to be between 8 to 12 inches long, need lots of room to exercise, and, being very social, make happier pets if they're housed with a buddy--which would mean an even larger enclosure. Hamsters, however, should be caged individually (they have a tendency to fight!) and need less room to exercise if they've got a hamster wheel. 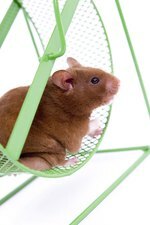 Though pet stores sell exercise wheels for guinea pigs, experts advise against them. Unlike hamsters, guinea pigs' delicate spines are not suited to running on wheels, so they'll need to get their exercise the way nature intended--by scurrying around. If you don't have a lot of disposable income at the moment, a hamster might probably be a better option than a guinea pig. Obviously, guinea pigs are bigger, so need larger enclosures, more bedding material (e.g. paper, fleece, wood chips) and much more food! All of this adds up to a more expensive pet. If so, you'll probably want a guinea pig. Though there are some hamster owners who swear that their li'l buddies are affectionate and rarely bite, on the whole, hamsters are not as receptive to human affection as guinea pigs. The reason could partly lie in their size differences, as tiny hamsters may be more nervous and defensive around us big, scary humans. Also, as we said before, a sleepy hamster may also be a grumpy hamster--so if your hammie is fast asleep, it's probably best not to wake him up for a cuddle session. Regardless of which you choose, both guinea pigs and hamsters should be handled a lot while young to get them comfortable with the idea of being scooped up by their owners. Do I prefer an independent pet or one that needs lots of social interaction? Guinea pigs are social creatures that form lifelong bonds with others. That said, a guinea pig needs a good amount of social interaction, which is why many suggest that you should keep them in pairs, especially if you don't have an awful lot of time to devote to keeping them company. Guinea pigs can be very vocal (something else to consider if you want peace and quiet), and will often make noise when their owners walk by their enclosures if they're yearning for a little bit of TLC. Though hamsters are solitary animals, they still need some level of social interaction, and usually do just fine with about 15 or so minutes of play per day outside their cage with their owners. Am I ready for a long-term commitment? If you opt for a guinea pig, get ready for a much longer commitment as compared to a hamster. Guinea pigs normally live between 5 to 7 years--even as much as 10 in some cases. (Of course, if you grow very attached to your little pig, this lifespan sadly doesn't nearly seem long enough.) Hamsters, on the other hand, have a much shorter life expectancy--2 to 3 years for Syrian hamsters and only 1 to 2 years for Dwarf varieties. We hope this has helped you come a little bit closer to making an informed decision about which cute critter to invite into your home. Do you have a hamster, guinea pig, or both? We'd love to know your personal experiences!